'JOTI' FRP shuttering for Bridge Piers. 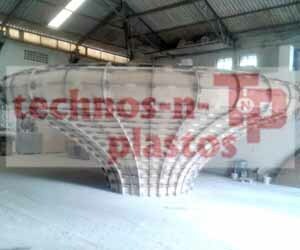 We have been manufacturing joti FRP shuttering for Bridge piers. 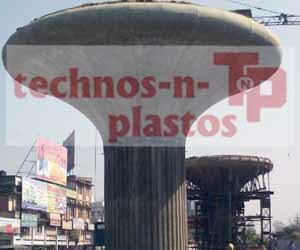 Joti shuttering is designed for dead weight, dynamic loading, pouring rate etc. This form work is manufactured in no. of petals in order to make assembly/dis-assembly very easy. So also it is easy for transportation and storage. Enclosed photograph shows the in situ position of joti shuttering. 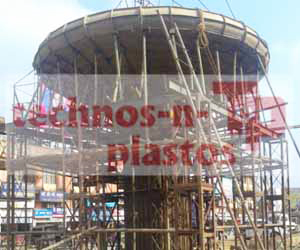 Photo shows that any odd shape of pier can be manufactured and so the critical demands of modern city transportation can be met with the help of joti shuttering. Good surface finish is possible after multiple repetitions. No dents are formed. So no rework due to changed shapes of the mold. Since wood is not involved and multiple repetitions, this closely meets "GREEN" requirements. M.S. 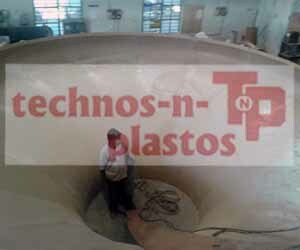 molds need lot of regular maintenance over the period.